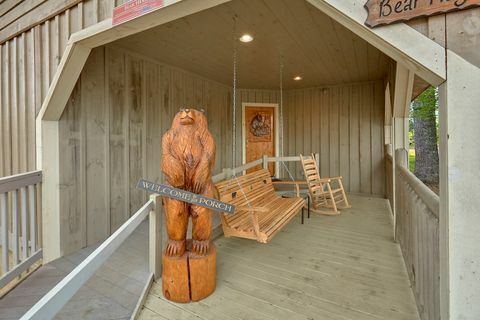 Honeymoon Cabin In The Smoky Mountains - "Bear Hugs"
"Bear Hugs," an inviting honeymoon cabin in the Smoky Mountains with unforgettable mountain views, provides couples with a mountain retreat for a vacation of a lifetime! 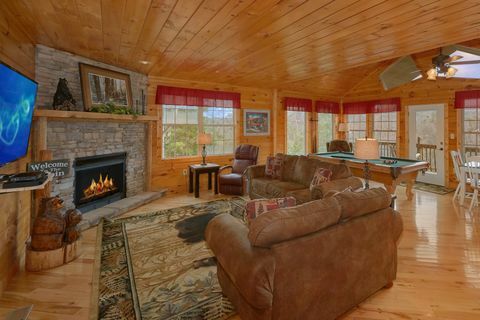 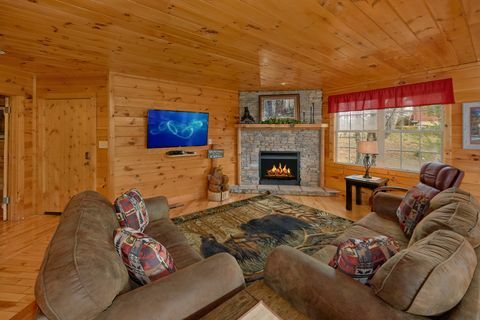 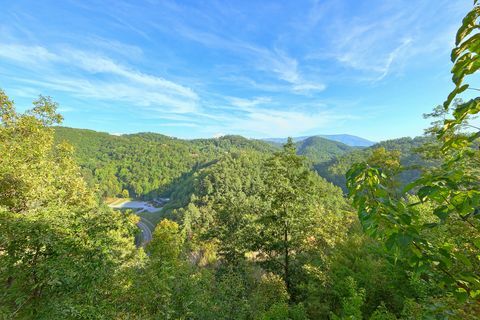 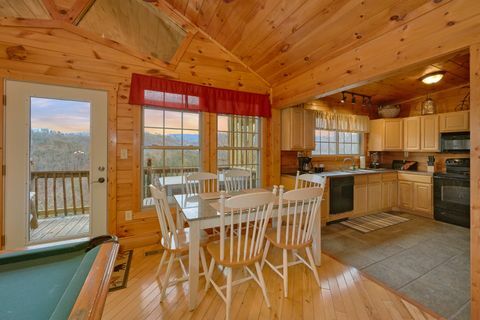 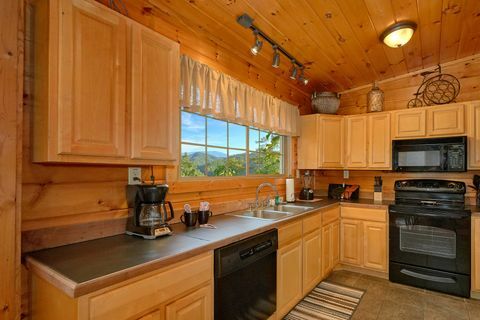 Nestled on a mountain top offering 280-degree views of the surrounding mountains, this lovely cabin rental in Wears Valley, TN offers couples a Smoky Mountains cabin with a mountain view and everything needed for a romantic retreat in a quiet mountain setting. 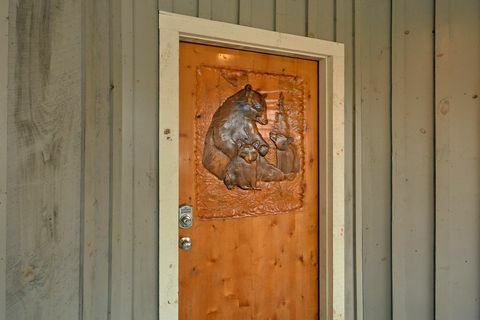 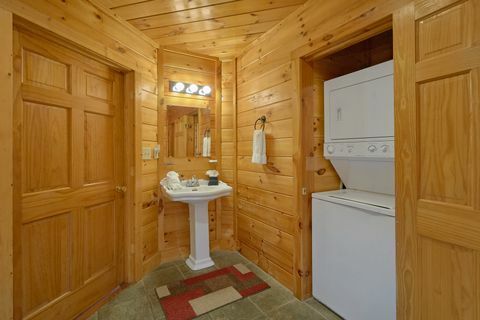 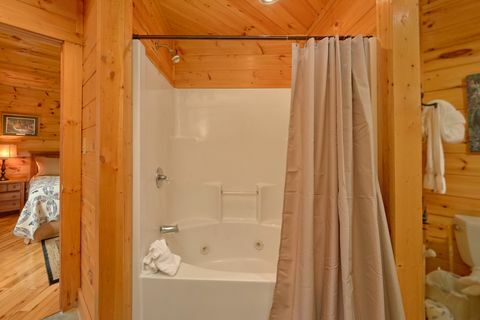 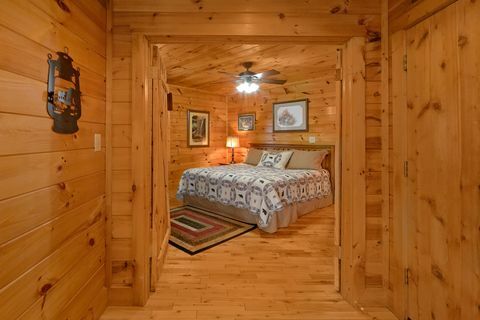 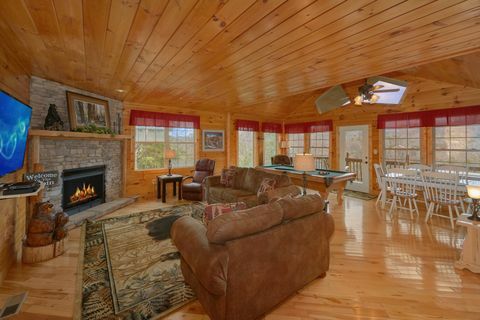 Enter into this adorable, 1-bedroom cabin through the custom-carved, front door into an open, spacious living space with comfortable sleeper sofa, inviting electric fireplace, and a pool table for exciting rounds of pool. 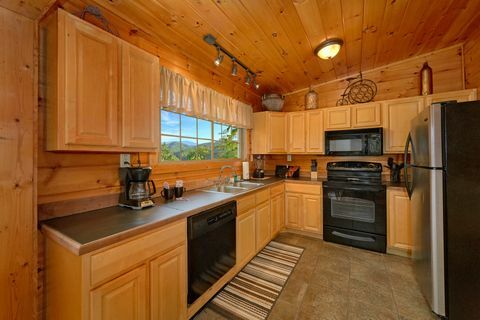 The kitchen gives guests plenty of counter space to craft culinary creations ranging from snacks to meals or use the cabin's charcoal grill to add that great outdoors flavor to any meal. 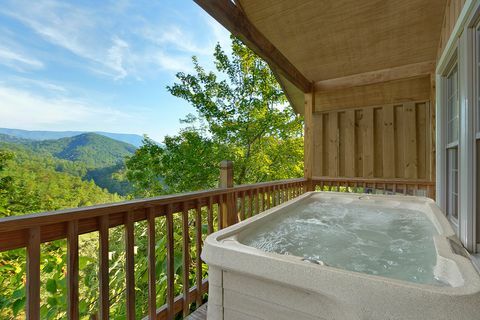 Enjoy watching the sunset from the warm waters of your hot tub. 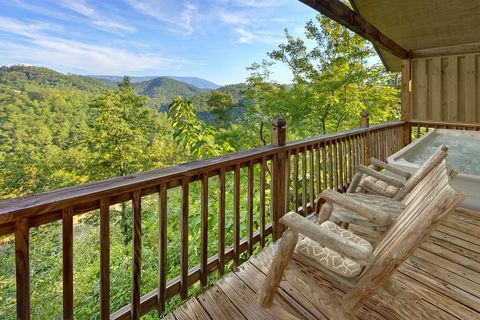 This honeymoon cabin in the Smoky Mountains is perfect for weekend getaway, long-awaited vacations, and romantic retreats. 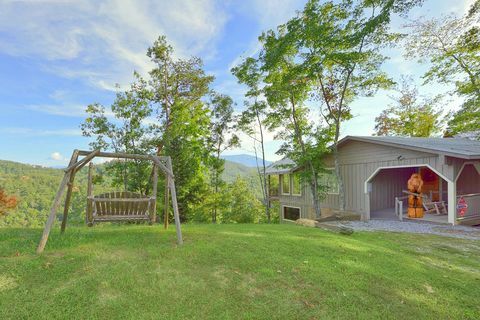 Wears Valley boasts numerous mom-and-pop stores and restaurants as well as dozens of antique shops, that transports vacationers to a simpler era. 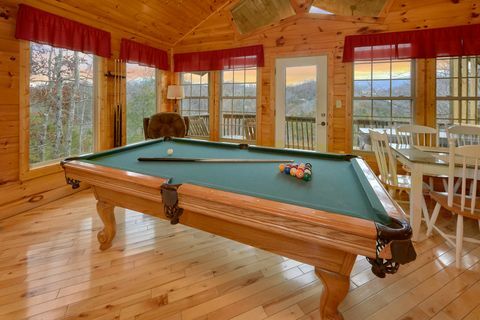 However, this honeymoon cabin in the Smoky Mountains places guests within minutes of the action in Pigeon Forge as well! 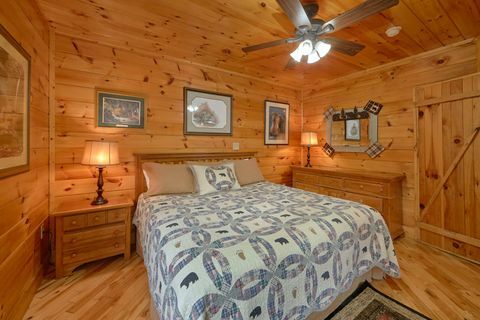 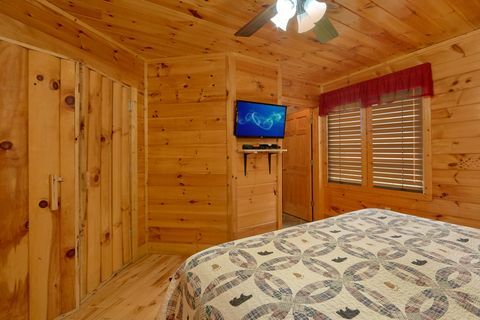 When it comes time to rest from an exciting day in the Smokies, rest in the comfortable king-size bedroom complete with television. 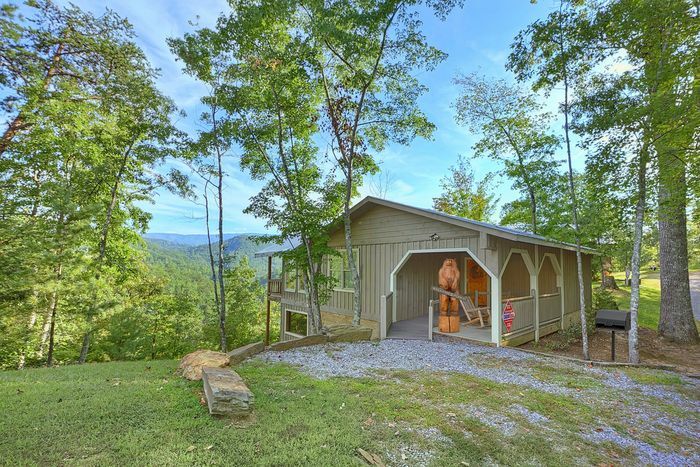 "Bear Hugs" sleeps 4 with its sleeper sofa, making it a great choice for small families seeking an affordable cabin rental in the mountains with spectacular views! 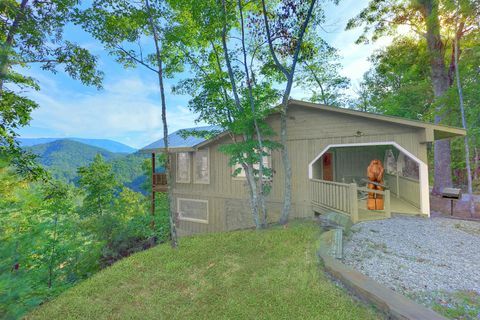 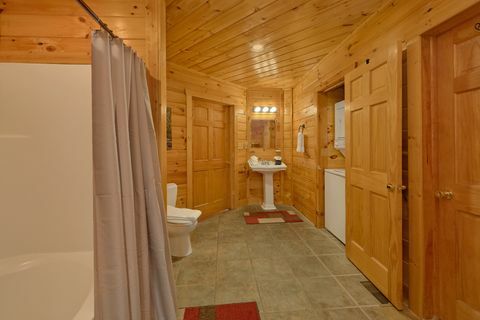 Book this honeymoon cabin in the Smoky Mountains online with Cabins USA Gatlinburg for a vacation to remember! 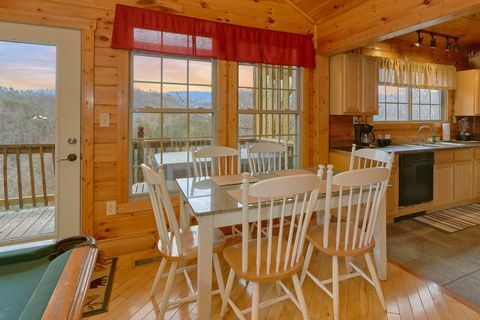 Please note that four-wheel drive is strongly recommended for this cabin rental in the winter months due to its secluded location. Additionally, "Bear Hugs" is within walking distance of "Hilltopper," "Higher Ground," and "TipTop" for those looking to book multiple cabins for a group trip or church retreat.